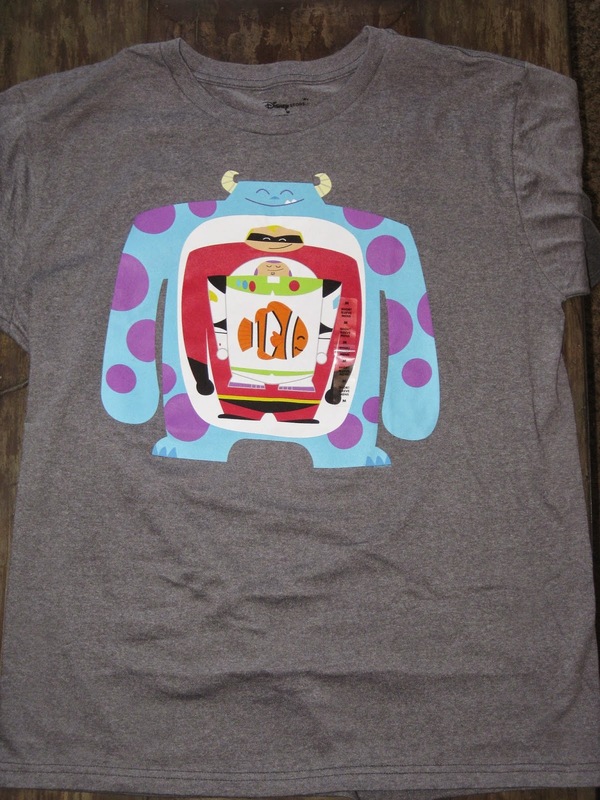 Just released from the Disney Store is this fantastic "Pixar Pals" T-Shirt featuring some of your favorite Pixar characters- Sulley, Mr. Incredible, Buzz Lightyear and Nemo. This is part of the current line going on at the Disney Store called, simply, the "Disney/Pixar Collection." As soon as I saw this shirt, I knew I had to add it to my collection. It has such a fun, minimal and stylized design that I love and thought it would be perfect for our upcoming Disney World trip. This is a fun, colorful, eye catching and very soft (a 50/50 cotton/poly mix material) shirt. This may not be everyone's style, but if you dig the design, I recommend snagging this at the Disney Store before it sells out. These types of shirts sometimes get hard to find after their gone at the store. Also, there's a current deal at the Disney Store where if you buy two adult graphic Ts, you get them for $15 each. A big thanks to my awesome parents who sent this as part of my "Easter basket" package this past weekend. I love it! Very stylized for sure - and cool! By the way - how's the fit? I've found that sometimes the Disney Store shirts run big. Yah so cool! 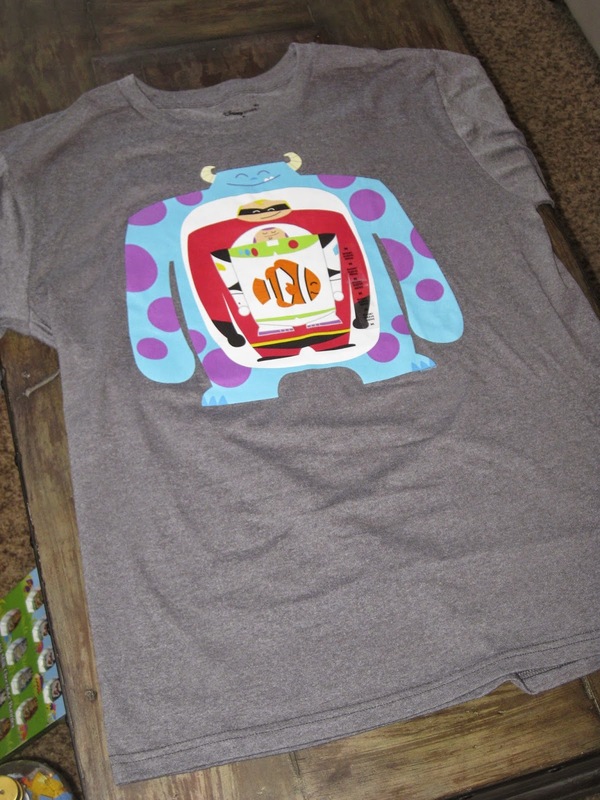 Disney Store shirts (like this one) are for sure a tiny bit bigger and more boxy than I like (I'm one for more fitted)... BUT I love it enough that I don't mind : ) Once I run it through the dryer it should be better as well. My favorite Pixar shirt is the back basic one that just says Pixar studios. That one is fitted and fits great. I still recommend this one as well.